And so, after lots of discussions, debates, on 2011/11/11 the famous “Skyrim” has finally been released. “Skyrim” is the fifth game of The Elder Scrolls game franchise. As many have expected, this game was an incredible success. It’s been released for several platforms, thus expanding the amount of players. “Skyrim” is said to have taken many souls of mortal players, so let’s dig deeper and see, what the craze about. Arrows, knees and Alduin in between. The main story starts with you as a prisoner, on his way to execution. Just before you lose your head, a mysterious dragon appears. He burns down the village, kills several people and – saves your life. But that doesn’t matter, you’ll kill him later. Soon after killing your very first dragon, you find out you’re something, called Dragonborn. Although you’ve no idea what that is, everyone suddenly starts worshiping you. Of course, it’s cool, but with the amount of trouble caused, you’d rather stay in and drink some mead. The game is not only about chasing the poor dragon. It contains lots and lots of side quests for your personal taste. By doing them, you may collect coins, artefacts, weapons and some epic armour. And this is where it gets funny. The land of Skyrim has quite a few major holds, ruled by jarls. And, just like any city, they have guards. It appears that members of Skyrim’s development team in Bethesda experienced a great lack of coffee, because every single guard knows this line – “I used to be an adventurer like you... but then I took an arrow in the knee”. Needless to say, this phrase was a huge success. In fact, it became so popular that now it’s now probably a valid reason to hurt someone. Now, back to game play. 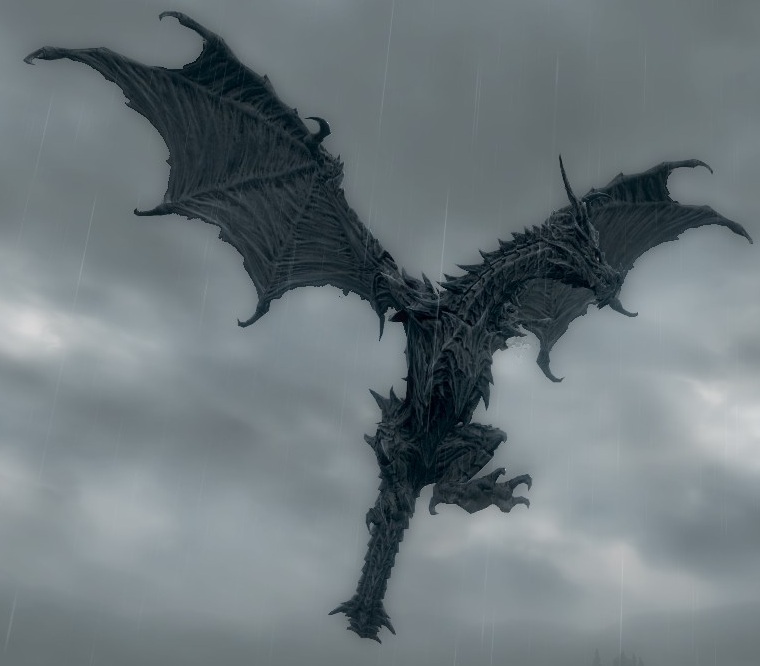 After completing whole line of quests you finally get to meet your saviour, Alduin. If you’re a smart player, you can actually beat Mr. Alduin with nothing else, but an axe. Hell, even fists would probably do the job! Enough spoilers, we don’t want the game ruined, do we? “Horse gravity”, or why you might re-consider buying this game. 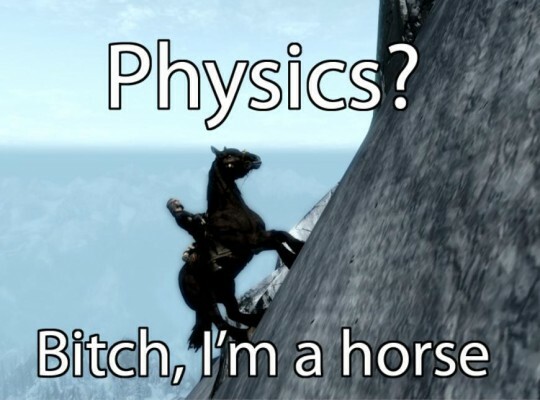 Despite its greatness, “Skyrim” has its flaws, minor and major ones. Some quests/NPCs often appear bugged, dragons, who act like overgrown worms and so on. Also, the game contains other minor issues that could’ve been fixed easily, but Bethesda must have experienced a horrible deprivation of coffee, because “Skyrim” comes packed with all kinds of bugs. But still, the awesomeness of it stays.